I made this bright and tasty salad to accompany latkes last night. It was a big hit. Thanks to Food and Wine for the great recipe! Bring a large saucepan of lightly salted water to a boil. Add the farro and simmer over moderate heat until al dente, about 35 minutes. Drain well, shaking off the excess water. Add the warm farro to the dressing along with the raisins and cherries and toss well. Let stand until the farro is almost cool. Just before serving, fold in the scallions, pistachios, mint and cilantro and season with salt. Chanukah oh Chanukah!!! What a wonderful night of celebration we had….and I will be the first to say this salad definitely helped. 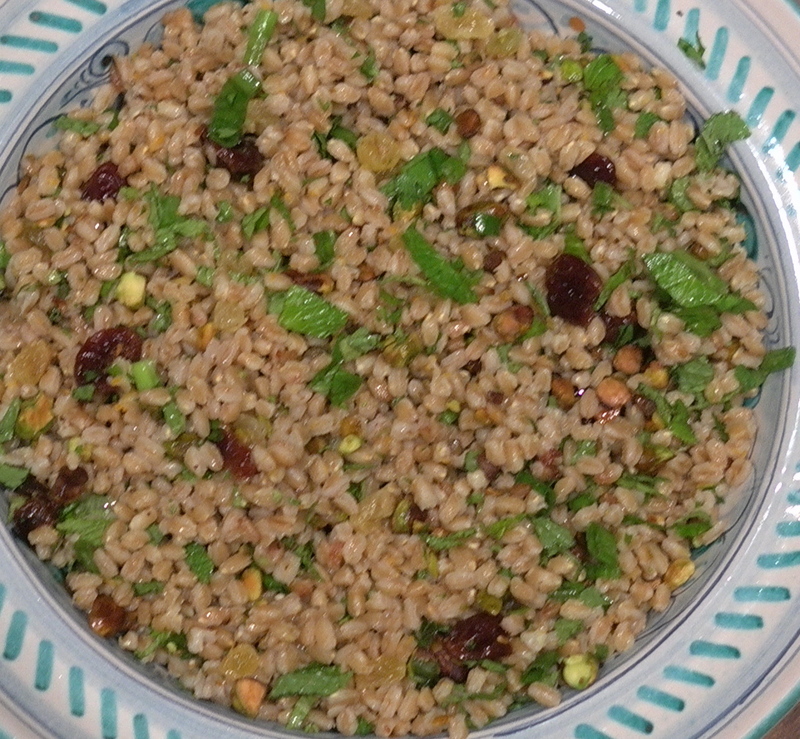 My first taste of farro, and I definitely wanted the recipe! Well done, Jamie! !